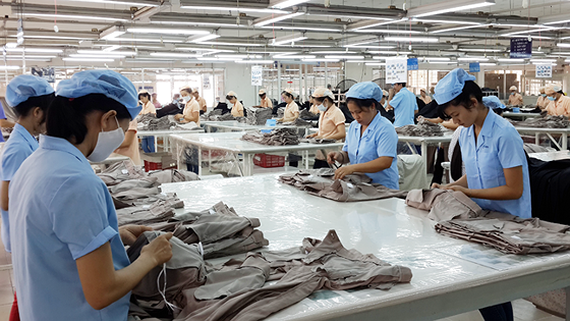 Despite good growth last year, the garment and textile industry still depended on import materials, cloth import turnover posted a year on year increase of 8.4 percent to near US$11.37 billion, reported the General Department of Vietnam Customs. Most materials have been imported from China and the added value of garment and textile products made in Vietnam is insignificant. Besides China, South Korea, Taiwan (China) and Japan are among 20 major markets supplying cloth and other materials for Vietnam. Last year, garment and textile export turnover increased 9.3 percent over 2016 to reach US$26.04 billion, accounting for 12.2 percent of the country’s total export turnover.